Four pre-bookable excursions have been arranged for the Tuesday afternoon of the conference. Leeds Castle, set in 500 acres of beautiful parkland, was listed in Domesday Book as a Saxon manor, and has played many roles in the intervening centuries. It has been a Norman stronghold; the private property of six of England’s medieval queens; a palace used by Henry VIII and his first wife Catherine of Aragon; a Jacobean country house; a Georgian mansion; an elegant early 20th-century retreat for the influential and famous; and, in the 21st century, it has become one of the most visited historic buildings in Britain. 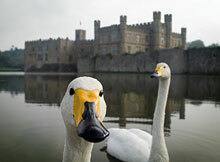 Cost: $75, which includes the return coach trip to Leeds Castle. A tour and tasting session at Britain’s oldest brewery, followed by a traditional Hop-pickers tea (savory scones, wedge of cheese and chutney). On the tour you will see the traditional mash tuns; taste natural mineral water from the brewery’s well; try some malted barley; smell locally-grown Kentish hops; see bygone delivery vehicles and step into a recreated cooper’s workshop. This is followed by a fascinating tutored tasting of Kentish ales and speciality lagers. 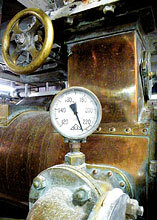 More details can be found at www.shepherdneame.co.uk. Cost: $50, which includes return coach trip to Faversham. 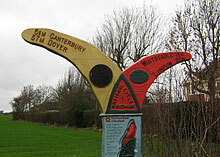 The University is located at the highest point of the Crab & Winkle way, which links the cathedral city of Canterbury with the harbour in Whitstable. The route is mostly traffic-free, following the route of an old railway line from the Winding Pond to the outskirts of Whitstable. On the way you travel through Blean Woods, one of the largest areas of ancient broadleaved woodland in southern Britain, where you can find the rare heath fritillary butterfly. The route does have an undulating middle section, but is predominantly downhill towards the coast. There are some fine views over Whitstable from the higher points of the ride. The national cycle route ends at Whitstable station, but is signed right through to the harbour of this lovely seaside town which is still a commercial port. Cost: $40, which includes one-way cycle hire from the University to Whitstable and a bus ticket for your return to Canterbury after exploring Whitstable. The heart of Canterbury can only be explored on foot. This excursion starts with a 90 minute tour of the city which includes tales of many famous historical characters, writers and artists who have lived here or visited in the past. This will then be followed by a guided tour of the Cathedral and its precincts. 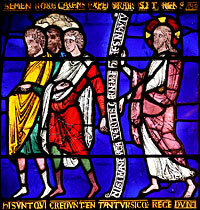 Cost: $40, which includes both guided tours and your return bus fare to Canterbury.